Aside from being an incredibly talented musician, she managed to recover from a devastating brain hemorrhage two years ago. After losing vision and some of her memories, she had to relearn basic things we take for granted like how to walk, read and write. Within a year of hard work and rehabilitation,she was back to being able to play the piano well again. 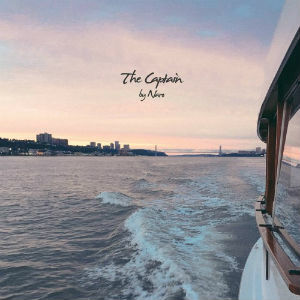 She recently recorded a new album, “The Captain.” The title track contains uplifting melodies with oceanic ambiance in the background. Though there are no lyrics, the song manages to evoke positive and optimistic emotions. In contrast, her song “Life,” which is just as terrific, harbors a more somber and varied tone. “I’m in love with…” is another gem that builds to a somewhat epic climax. It’s tough for me to say which of the songs I like the best, as they all kind of represent different moods and experiences. Musically they are top quality. I could envision these songs being used as part of a soundtrack to the emotional scenes of a film. Naro has achieved great things musically with this album, quickly making you forget what she had to go through to create it.